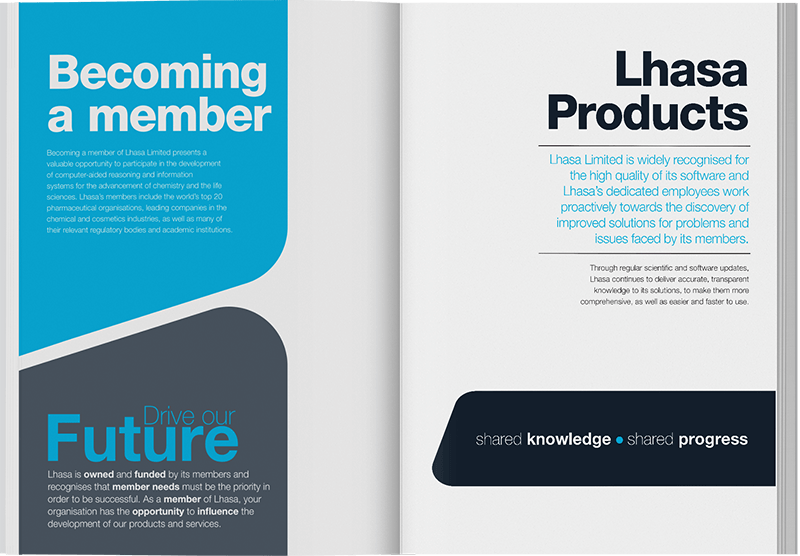 Chemoinformatics charity and research organisation, Lhasa Limited, required a complete overhaul of their brand and corporate catalogues. Working in such a complex industry, they needed a partner that could understand the ins and outs of their organisation in order to successfully rebrand their business and redefine their brand positioning. Our approach was backed by years of knowledge and our long term affiliation with Lhasa. Our goal was to shine the spotlight on the USPs of each of their software products, communicating in a language that would be receptive to customers in the pharmaceutical industry. 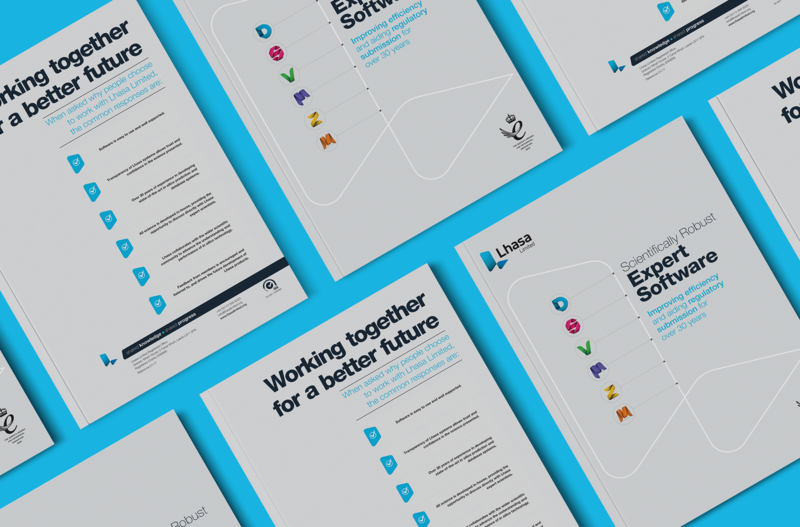 Having been a client of ours for 7 years, Lhasa came to us for help in rebranding and reconfiguring their brand identity. Working so closely with the business enabled us to fully understand the unique benefits of their software, as well as the complexities of the relevant industries they were targeting (such as pharmaceutical and cosmetics). We were able to redefine the organisation’s brand positioning model through our deep understanding of their scientific processes and the intricacies of their software systems. Ultimately, creating bold and engaging brochure designs to give each product its own unique personality and purpose. Lhasa Limited is a research organisation for companies in the chemistry-related sector. 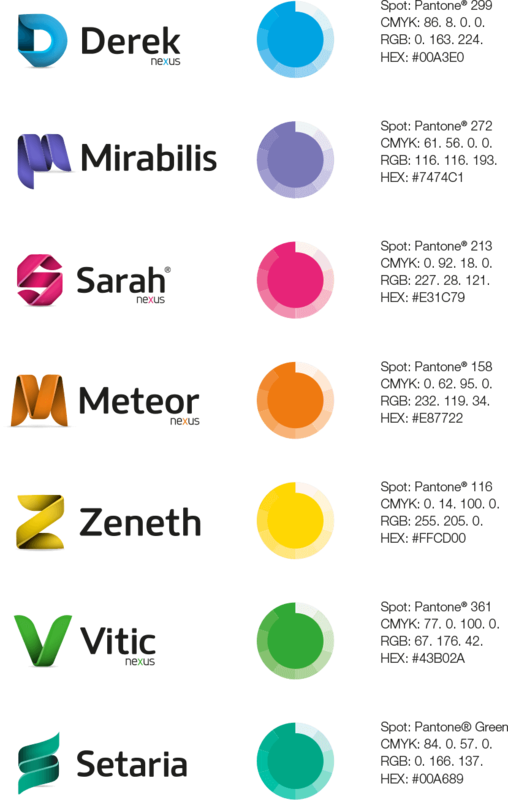 They specialise in highly advanced computer systems for toxicity and metabolism prediction, creating knowledge-based software such as Derek Nexus, Meteor Nexus, Mirabilis, Sarah Nexus, Setaria, Vitic and Zeneth. All of which have been developed to help scientists work more efficiently and effectively within their respective industries. Lhasa's members include the world's top 20 pharmaceutical organisations, leading companies in the chemical and cosmetics industries, as well as many of their relevant regulatory bodies and academic institutions. 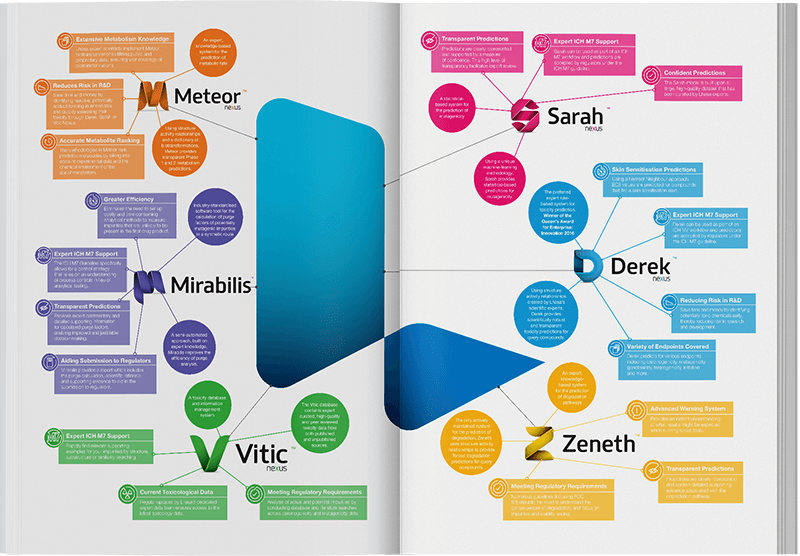 Throughout the design process, we used a collaborative approach to the work. Sharing ideas and inspiration to jointly create a new brand identity for the organisation, projecting a powerful positioning statement of 'shared knowledge, shared progress'. This statement runs through everything Lhasa creates and is reflected in the values of the organisation. In order to translate this, it was important for us to work hand in hand with Lhasa’s internal marketing department and their expert team of scientists. 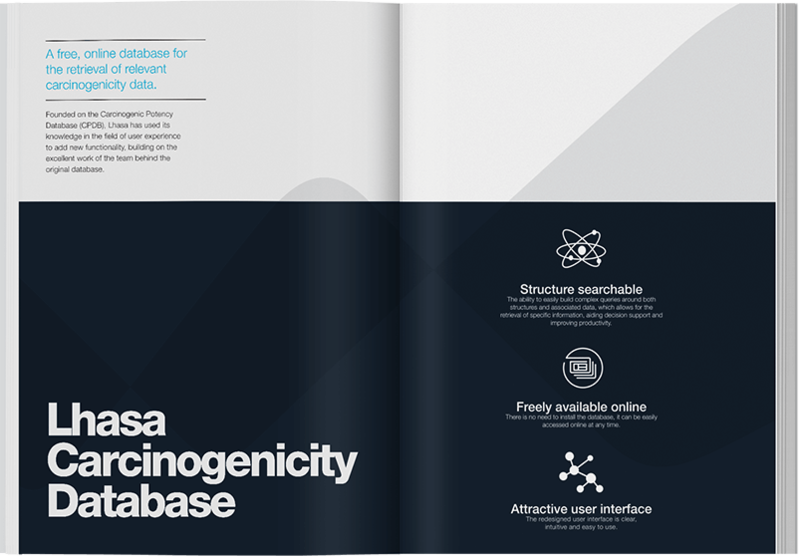 In addition to the design and print of product catalogues, Lhasa also challenged us to create a series of animations to explain their sub-brands, and to promote the ease and simplicity of their toxicology prediction software to help customers comply with strict industry regulations. Our animations were created to engage, inspire and educate. 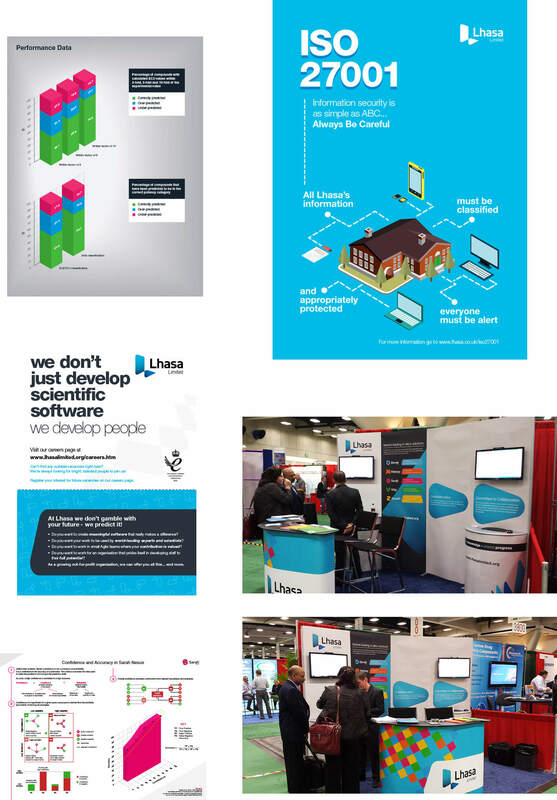 And we have continued to evolve the Lhasa brand to be widely recognised for developing award winning products that are both accessible and user friendly. We believe that strong and trusting relationships are the single most important keys to success in business. Due to our close partnership with the team at the FDP Group, we know that no matter what the obstacles are, when we all pull together, no one will rest until we achieve perfection - this is reflected in our recent 'root to branches' rebrand, which we thank the team for making it such an enjoyable exercise.